Make sure you know how to get your scores this year! Collegeboard no longer mails your test grades to you physically. They have, instead, opted to distribute scores through their website online for faster access to your results, and also to save wasted paper and money lost by snail mail. This may come as a change for anyone who has taken AP tests from just a few years ago, but it is a move forward we will likely come to appreciate. This online delivery means you may have to remember to check for yourself rather than the scores simply showing up in your mailbox, I recommend setting a reminder for yourself just in case! Read more about getting your ap test scores to make sure you are on top of it! 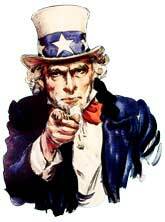 I want you(r input)! What are we missing? Believe it or not I'm not a faceless website, I'm a one man band trying to build a useful service! I hope you've liked the AP test calculators, but I want to know how I can improve this site! If you have a moment to spare, answer me this question: what would make this site more useful to you? What could I add that would make you want to tell your friends to check it out? What am I missing? If you haven't noticed, the "study" section of this site is pretty empty, and far from complete. As such, I would be thrilled if you were to send me some useful (and non-copyrighted) study material such as notes you took yourself. I'm sure there are a few thousand people who could benefit from them. So make someone's day, help someone out on their test, and give me something to post! The Collegeboard has changed the way that AP tests are going to be graded! Starting with the 2011 tests (for the 2010-2011 school year) you will not be penalized for guessing on the multiple choice section of your test. Because this will make AP tests easier, the grading curves used for each test compensate and make it more difficult to get a high score. This means that overall, approximately the same number of people will get 5s, 4s, etc. as in previous years. Does this mean the AP Pass calculators are no longer useful? Absolutely not! I've already updated every single calculator to these new grading standards and even added several more! As always, if you ever have any suggestions just tell us about them! We want to make this website as useful as possible! The AP help site that is dedicated to helping you earn a 5! APPASS.com is a website that is all things AP; join in, help us make it just for you. We have included a bunch of helpful links but at the core of this website are the AP Test scoring calculators for students. The best preparation for most AP students is to take the test several times before the actual test, broken down in correctly timed segments. We suggest setting up a timer and an uninterrupted space to take the previous tests so that you can gauge ability and knowledge on the particular portion of the test. A great support for preparation is motivated students like you that push each other to study and work effectively through the information. Most of all AP is just freaking awesome because you are pushing yourself to accomplish in High School what many wait for college to do: that is to gain skills to study at a college level, as well as knock out a few semesters of college credit. So how much money can you save in college by passing an AP test? By passing just one AP Exam and receiving six hours of University credit you can save between $3,000 and $8,000 (two semesters at 15 credit hours.) A private school like Harvard assuming $48,000 per year. At a State school like Penn State or Florida $15,000 each in-state, $29,000 out of state. But this is not all! Preparing for Advanced Placement tests will make you a better student which should elevate your GPA and demonstrate your ability in college. Some Universities actually grade you up on a 5.0 scale so a B in AP is equivalent to an A. And an A covers for a B you may have gotten in another class. Let us know how much money you have saved by taking AP classes in High School! You will notice that we have a links and forum page so that we can gather any information or links that would be helpful to all of us. Although this website is created for student by students, we know that teachers and parents are also interested, so we invite all to also participate. Please send us suggestions and links to websites that we may have missed. Thank you!